Turkey hiked Wednesday tariffs on imports of several key US products in retaliation for American sanctions against Ankara, as a bitter dispute between the two allies that has battered the Turkish lira showed no sign of ending. The lira -- which lost just under a quarter of its value on Friday and Monday -- however continued to claw back some ground on financial markets, rallying around five percent against the dollar. A court meanwhile rejected an appeal for the release of American pastor Andrew Brunson -- whose detention for almost two years sparked the crisis -- leaving no immediate solution to the Turkey-US row in sight. The White House called Turkey's tariff hikes "regrettable" and repeated its call for Brunson's immediate release. "The tariffs that the United States placed on Turkey were out of national security interests. Theirs are out of retaliation," White House press secretary Sarah Sanders said. 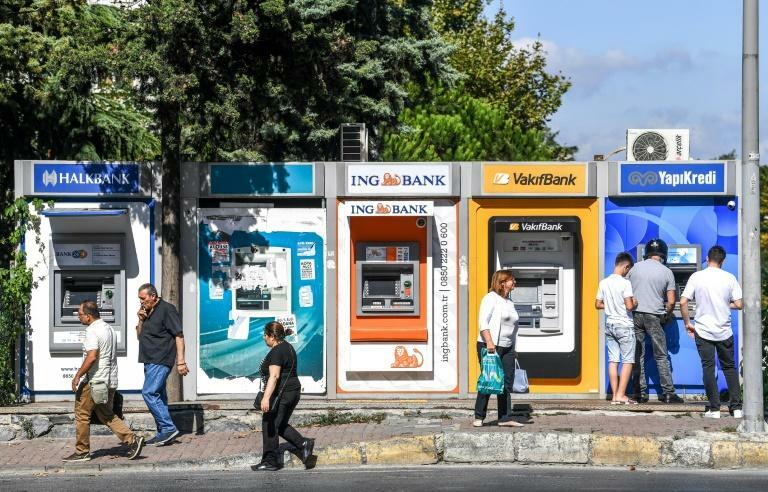 The lira's fall had raised fears Turkey was on the verge of a fully-fledged economic crisis, especially in its banking system, that could spill over into Europe and other markets. Turkish Vice President Fuat Oktay said the tariff hikes were ordered "within the framework of reciprocity in retaliation for the conscious attacks on our economy by the US administration". 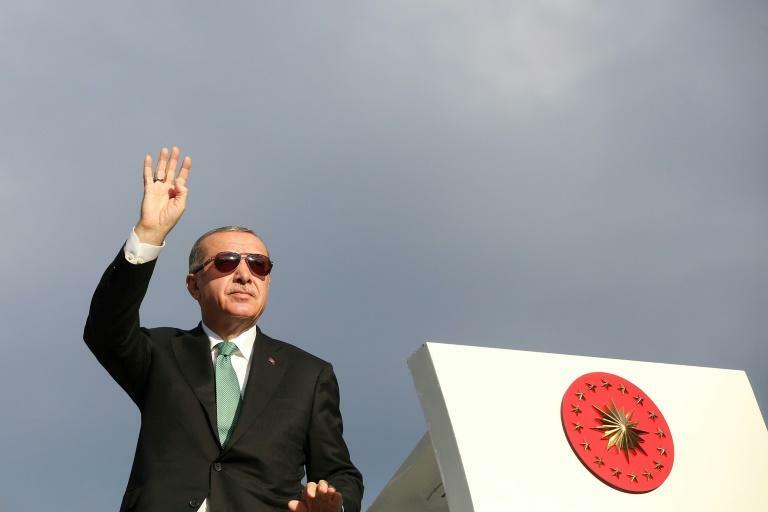 The hikes were published in Turkey's Official Gazette in a decree signed by President Recep Tayyip Erdogan, who has repeatedly described the crisis as an "economic war" that Turkey will win. President Donald Trump had previously announced that the United States was doubling steel and aluminium tariffs on Turkey. The Turkish tariff increases amount to a doubling of the existing rate, the state-run Anadolu news agency said, in an apparent parallel response to Trump's move. The decree said the move brought tariffs to 50 percent on imports of US rice, 140 percent on hard alcoholic drinks like spirits, 60 percent on leaf tobacco and 60 percent on cosmetics. Erdogan's spokesman Ibrahim Kalin added: "Turkey is not in favour of an economic war with anyone but when attacked... will take all necessary steps." Erdogan on Tuesday said Turkey would boycott US electronic goods like iPhones, even though he has himself been photographed repeatedly using the product himself. Moves by the central bank to ensure Turkish banks have liquidity have gone some way to reassuring investors. But analysts say such measures are artificial stop-gaps and do not deal with the core issues hurting Turkey's economy -- especially inflation approaching some 16 percent -- which are crying out for a sharp interest rate hike. Michael Hewson, chief market analyst at CMC Markets UK, warned the Turkish tariff hikes risked provoking a new reaction from Trump and ultimately adding to downward pressure on the lira. "President Erdogan appears to be playing a dangerous game if he thinks he can come out on top in this spat with the US," he warned. As a court in the western Turkish city of Izmir rejected a new appeal to free Brunson on Wednesday, spokesman Kalin said the US needs to be respectful of the judicial procedures in Turkey. "The US is our major trade partner but it's not the only one," Pekcan, the trade minister, was quoted as saying by the official Anadolu news agency. Emir Sheikh Tamim bin Hamad Al-Thani of gas-rich Qatar, one of Turkey's very closest allies, on Wednesday held talks with Erdogan which also included Albayrak. "Qatar has pledged $15 billion of direct investments in Turkey," presidential spokesman Kalin wrote on Twitter afterwards. Turkish officials have been keen to emphasise that Ankara wants to retain strong ties with Europe, which has also expressed deep unease with Trump's trade policies. Onm Wednesday an Istanbul court also ordered the release of Amnesty International's Turkey chair Taner Kilic who has spent more than a year in jail over alleged links to a failed coup in 2016. Kilic was released a few hours after the court ruling, an event which Amnesty's new Secretary General Kumi Naidoo called "a bittersweet moment after 14 months of unjust detention."